You can’t find any better partner than us when it comes to turning your hard-earned traffic into cold hard cash. Besides high payouts and unique exclusive offers, we work closely with you so you can get the most value out of your traffic. Good network, high payouts and payments always on time! Beware from this scam network. No reply, no payment, Totally scam. Don’t do work of this fraud network. One was theedunetwork and second is this one. Both are big scammer. JungleTap is our top partner. If you want to get nice offers on very competitive PO’s, my advice is to get in touch with them. But the strongest part of cooperation with them is how they take care of you – always nice and welcoming. Business processes are working well and always on time. So, be brave and add their team on skype and linkedin. 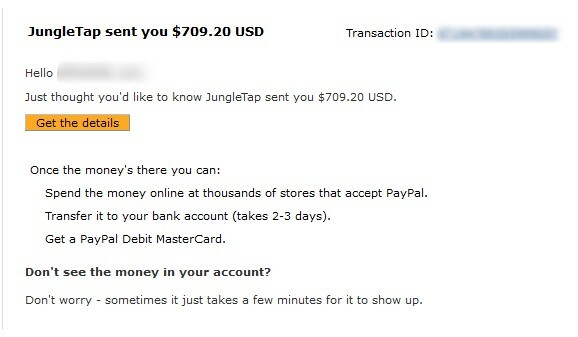 JungleTap is a trusted partner. Payments are always in time, support is very responsive.